“America the Beautiful” was first published in 1910 and has remained for more than a century one of our nation’s most beloved patriotic songs. It also has what I think is a beautifully American story. This song has two stories of inspiration and creation: one for the lyrics and one for the music. Katharine Lee Bates wrote the lyrics for this song, inspired by the sights on a cross-country trip. The lyrics were written by Katharine Lee Bates in 1893. The English professor from Wellesley College took a train trip from Boston to Colorado Springs to teach a summer school session at Colorado College. On her way there, several sights served as inspiration: the White City of the Chicago World’s Fair, the ripe wheat fields of Kansas, and the view of the Great Plains from the top of Pike’s Peak. It was on that mountaintop that Bates began composing her poem, which she finished later in her hotel. Two years after that, the poem was published in The Congregationalist to honor the Fourth of July. Samuel A. Ward wrote the music that eventually became the preferred setting for this song. Unfortunately, Ward died in 1903, years before his melody and Bates’s poem were matched together to become one of the most famous patriotic songs in American history. Bates herself never met Wardl; but she did get to see the popularity of her song firmly established by the time of her death in 1929. There are many reasons to love this song, especially for its American-ness. The composers represent at least a small part of our nation’s diversity. Yes, they were both privileged white folk from the East Coast, but it is no small thing that one of the nation’s most beloved patriotic songs was written by an educated woman who never married (a “free-flying spinster” according to one friend) and a church musician who was the last in an unbroken line of men named Samuel Ward, the first of whom was a representative to the Continental Congress. To me, these two artists were both grounded in the nation’s history and reaching for a new future. What is more American than that? These artists were inspired by a variety of sights across America, from Pike’s Peak to Coney Island. I love that this song represents the variety of landscapes across our country (including my special favorite – the “amber waves of grain” of Kansas). 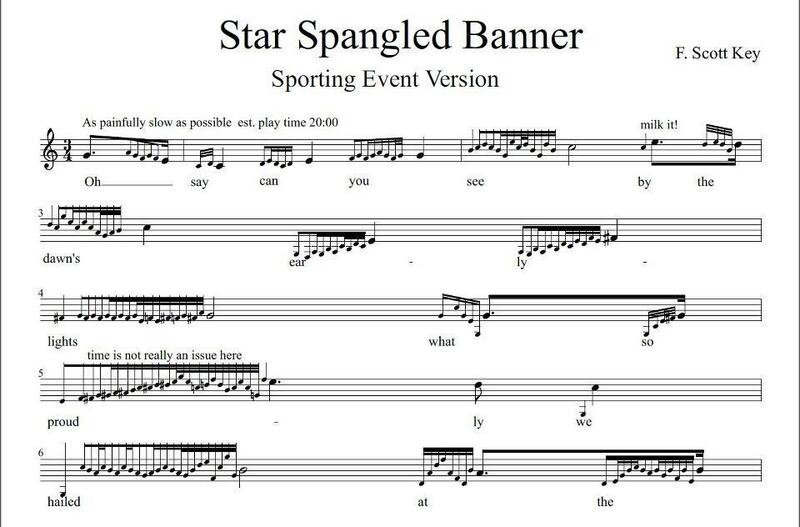 “America the Beautiful” is more singable than “The Star-Spangled Banner,” according to some critics. I have to say I agree – I sing “America the Beautiful” with music therapy groups much more often than our official national anthem. The kind of song that everyone can sing together – no divas or sports stars required – that’s the kind of song that I think is truly American. What do you think? Is “America the Beautiful” one of your favorite patriotic songs, or do you have another? For my friends not in America, what are the favorite songs to represent your country? Please leave your thoughts below. Thank you for a very well written summary of the history of the composition of America The Beautiful! I remember printing out a summary about it from Wikipedia, but your summary is much more upbeat and interesting, and includes info of which I was unaware, i.e., that Katherine Bates never married, and that Samuel Ward comes from a long line of Samuel Wards dating back to the Continental Congress. At the nursing home where CV I work bnb on Thursdays and Fridays, the residents’ favorite patriotic song, “hands down,” is God Bless America! The CV majority bnb of the residents know that this song was composed by Irving Berlin, and that Kate Smith made it famous. We do sing America the Beautiful quite often, and I agree that it is much more sing-able than the Star Spangled Banner, which only one resident has ever requested, but which many residents do remember singing during “Assembly” Fridays in elementary school, after reciting thecPledfe of Allegiance. The residents also love to sing the songs of George M. Cohan, including Yankee Doodle Dandy (some remember the James Cagney movie) and You’re a Grand Old Flag.